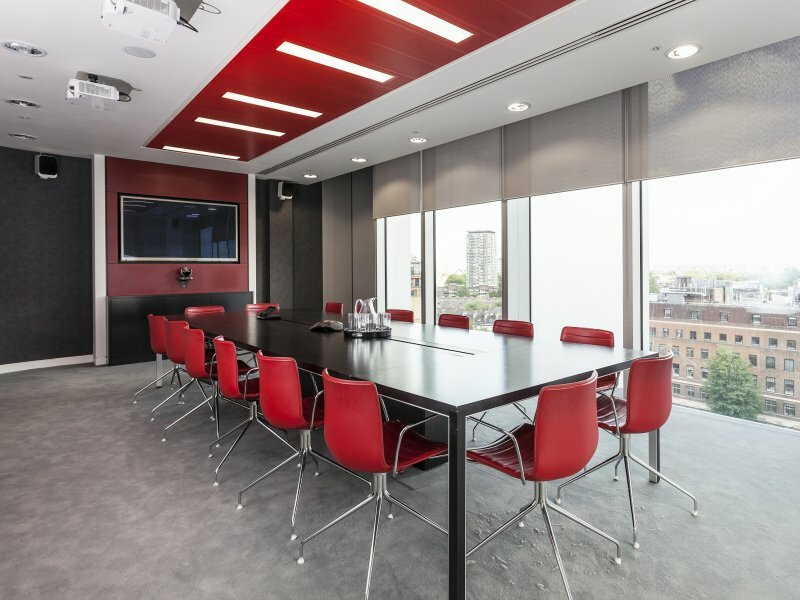 BMG UK appointed Peldon Rose to refurbish their UK headquarters. 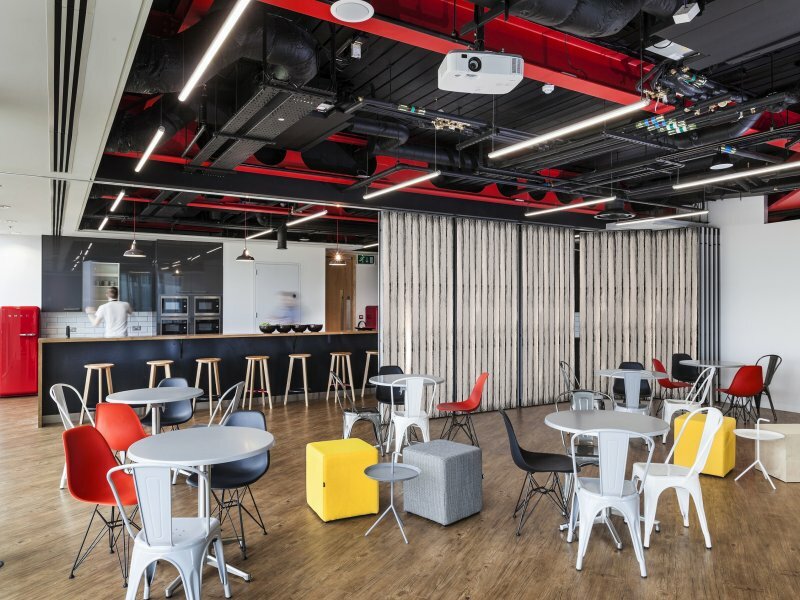 Having completed our first project for BMG UK in Wigmore Street some years before, the company had outgrown their office space and chosen a 17,000 sq ft new home in Paddington Basin and appointed us again without pitch. BMG UK is a new kind of music company, housing the traditionally separate record company and music publisher functions under one roof and has a philosophy based on three key principles - transparency, fairness and service. It was important that the company's new office should reflect these values. 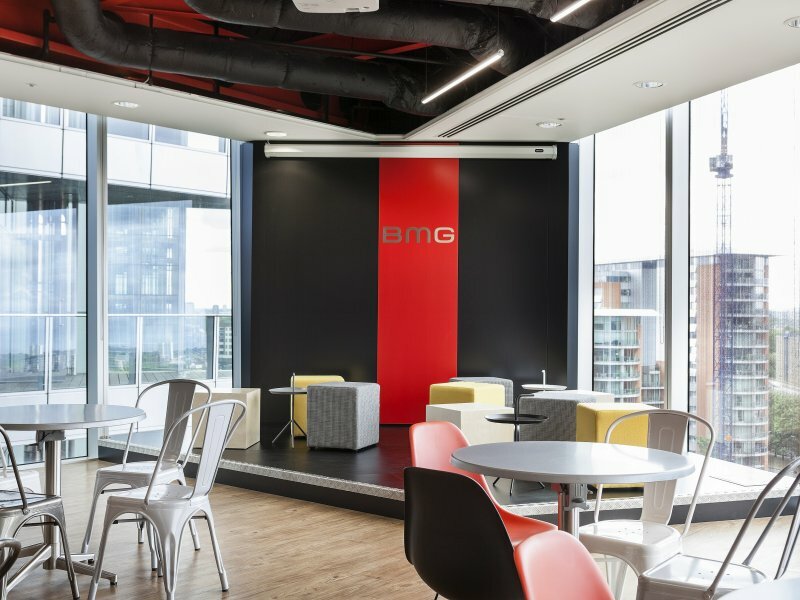 BMG UK's service-orientation meant the office should have a business-like feel, as well as reflecting its music heritage. 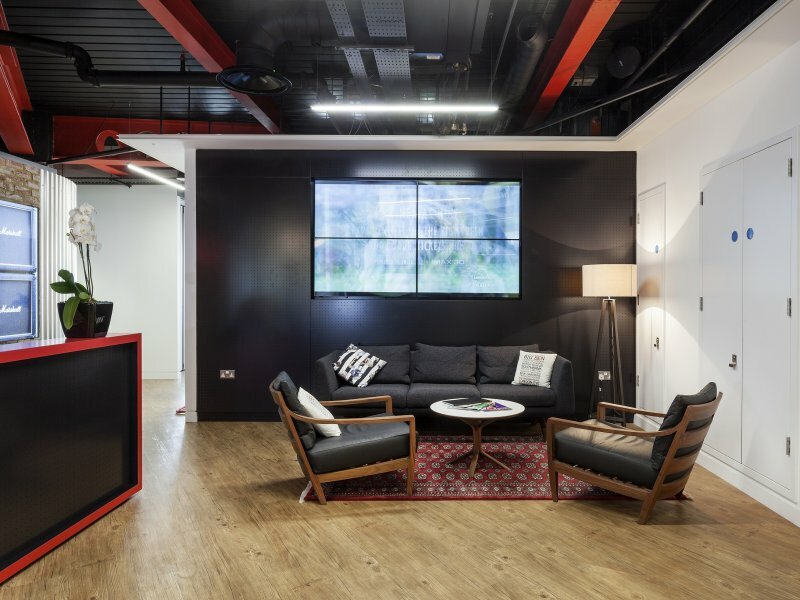 Throughout the project we worked closely with the client to ensure they have a new workspace which truly represents them and the experience they provide for their clients. BMG UK has a very collaborative culture. 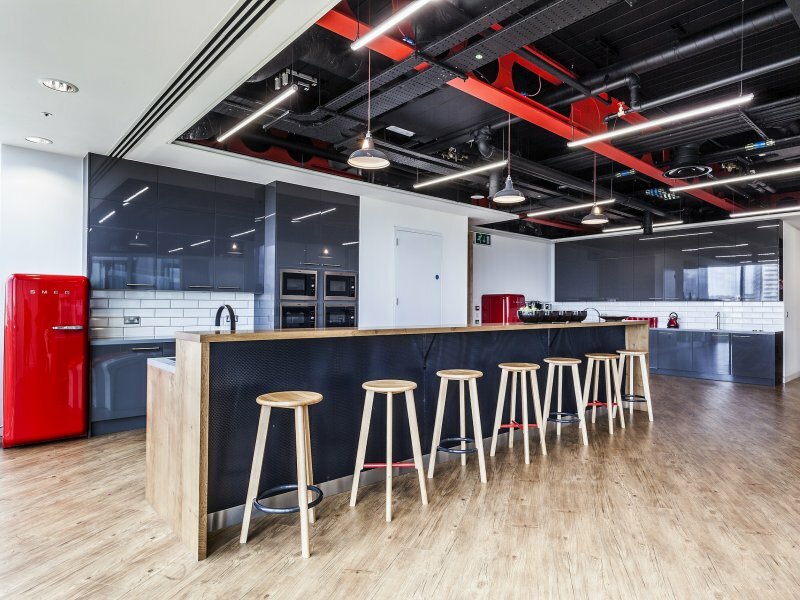 Combine that with those core values of transparency and fairness, and it was clear BMG UK needed an open-plan layout and lots of glass. 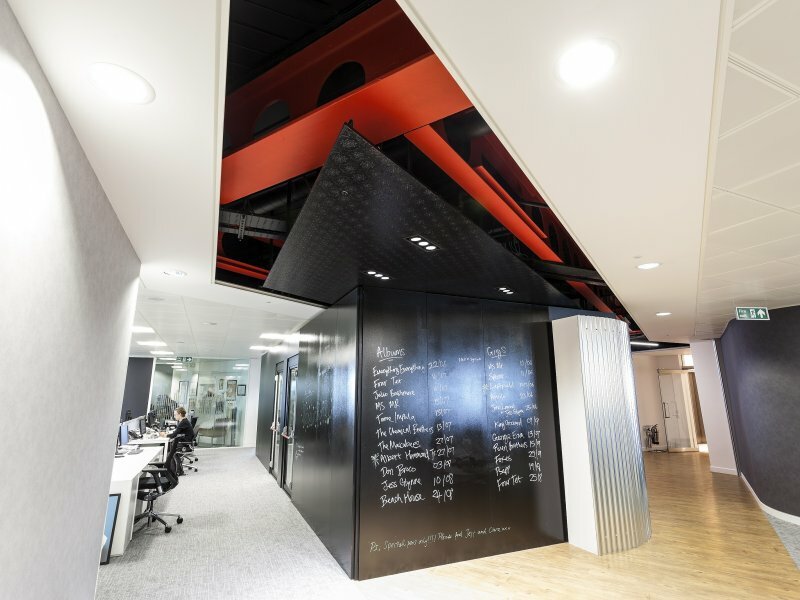 Throughout the office we gave the BMG UK team ample opportunity to carve their own identity into the space, by creating blank canvases - blackboards, whiteboards, empty spaces - to populate their workspace with their own memorabilia, discs and magazines. Having completed projects for the likes of Google, Revlon and Louis Vitton, BMG UK was a natural extension for us. This was the second project we have completed on their behalf. Their reception area is a bold positioning statement featuring exposed brick walls, industrial iron beams, spotlights and a homely soft seating area with carpet. Behind reception is probably one of the most unusual features we've installed into an office; two soundproof acoustic rooms. 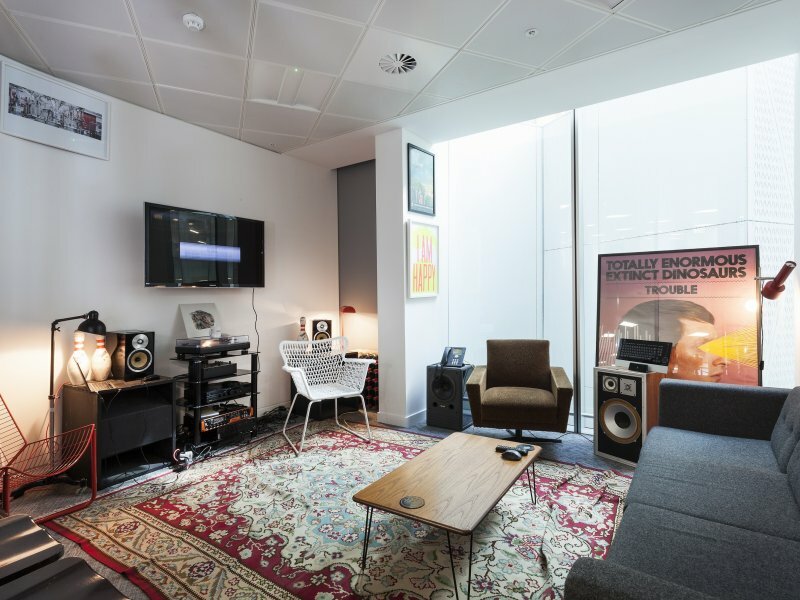 Completely impenetrable, simulating a recording studio so any of BMG UK's music artists can play without the fear of having to 'turn the volume down'. Reinforcing the transparency point we strategically placed the boardroom in the centre of the office so you have to walk through the open plan area to reach it. Then we created a stunning multifunctional lounge/café/bar and venue for performers and staff. Through the use of foldable walls, this versatile space can be used as an open plan lunch area, or can be sectioned off, creating an intimate space where artists can perform on the raised stage. Stackable galvanised steel Xavier Pauchard chairs add to flexibility of the space. As signing to a music company and working for one, is a pretty big deal, we wanted our second project to reflect this by offering some real wow factor. 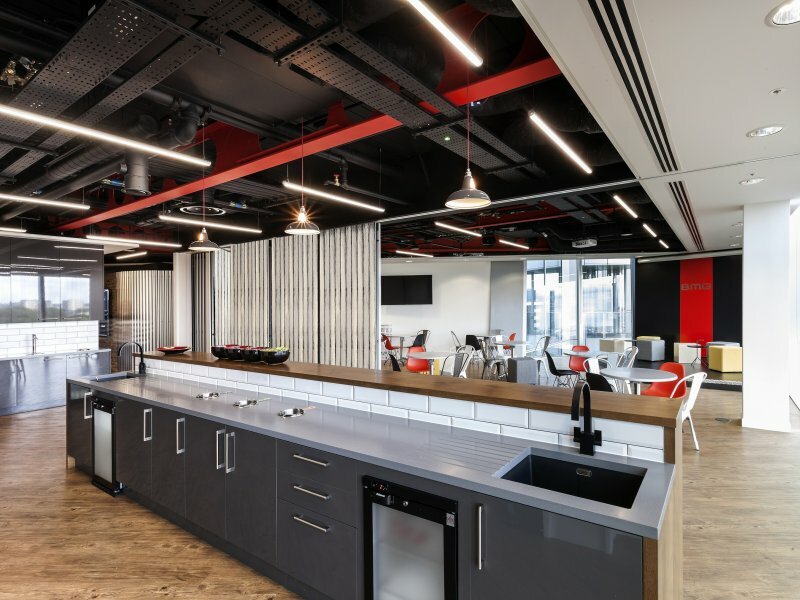 A key challenge on this project was to create a contemporary vibe within a modern and glass fronted tower block which is also home to large corporates including Marks & Spencer. This challenge was similar to the one which we had overcome previously for BMG UK in Wigmore Street in a classic period property. The two studio quality acoustic rooms, the intimate stage for artist performances and the stylish multifunctional café bar and venue for events. 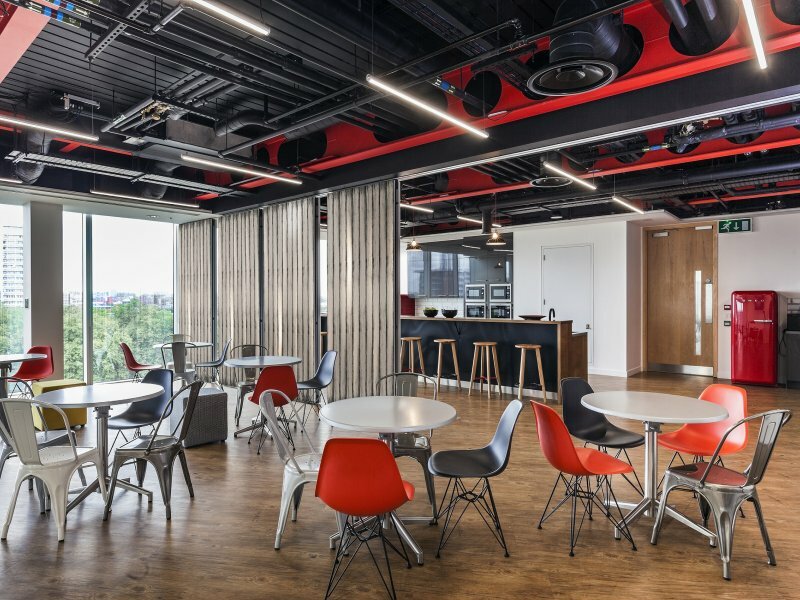 Creating a bespoke music inspired interior to reflect the values of the UK's largest and most progressive music company on time and within budget.